This is the seventh story in a series investigating child care in Mississippi. At a child care center in Clinton, children spend their days in colorful classrooms, supervised by qualified lead teachers, all of whom have college degrees. 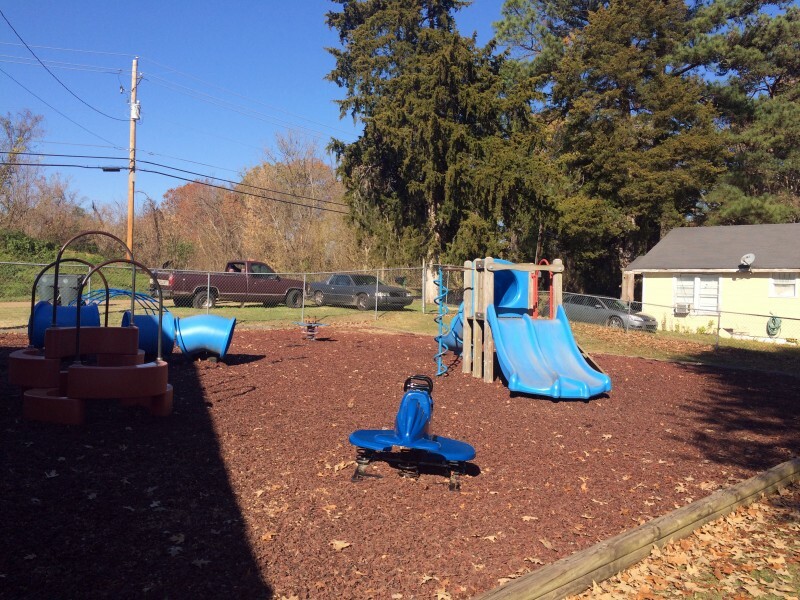 During outdoor time, the children can run up and down a grassy hill, explore a sensory herb garden, or play on a playground that cost roughly $180,000 to build. About 10 miles away at a daycare center in North Jackson, the classrooms are also stocked with toys and books, thanks to a nonprofit program, but caregivers only need a high school diploma. Outside, children can play with hula-hoops or bounce balls on the side of the building. Playground equipment is too expensive. Most of the children at the Clinton center are white; the Jackson center enrolls predominantly black children. 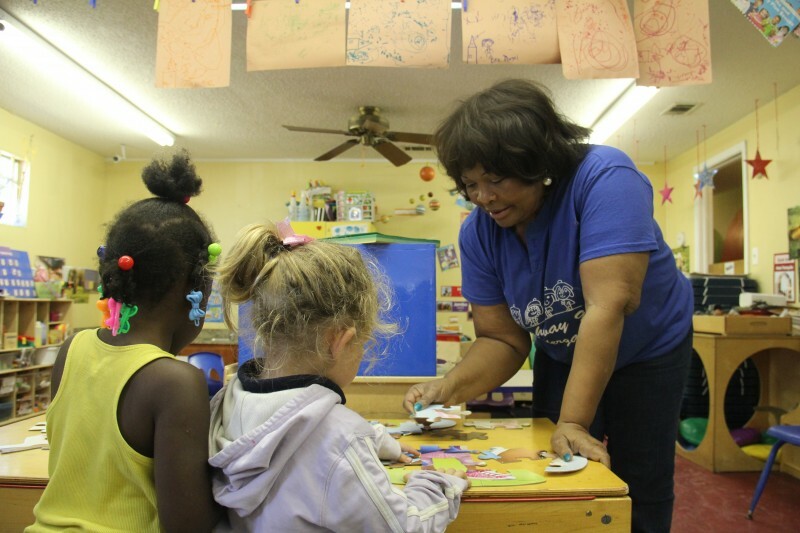 Child care advocates in the state worry that the effects of decades of extreme poverty among black Mississippians and a history fraught with racial tension have trickled down into child care centers, disproportionately impacting black children. In visits to 30 child care centers in central Mississippi, reporters saw centers split along lines of race and class, and plagued by the same problems that affect the state’s racially and economically divided public schools. The range of quality in the state’s 1,521 licensed centers is not neatly divided or easily quantified; many centers that serve mostly black children are rated highly, while some centers that serve white children do worse on quality rankings. But there is a direct link between how much parents can pay and how much a child care center can charge that, in turn, dictates the size of daycare budgets for salaries and supplies. Many centers serving low-income black children can’t offer the same resources as those that cater to middle- and upper-middle class white children, such as expensive playgrounds, highly educated teachers or lower-than-required staff-to-child ratios. Advocates say the system frequently shortchanges both the disadvantaged children it should serve and the providers who struggle to keep their businesses running. Children who most need the support quality child care can provide may not get it and providers may be penalized for failing to meet state standards set by the Department of Health, but receive little to no help from the state in making improvements. Centers that serve mostly poor children may also struggle to pay for staff training that could boost quality or enable a center to meet minimum state requirements. Nearly 50 percent of black children in Mississippi live in poverty, compared to 15 percent of white children. Black parents are also much more likely to rely on child care assistance paid for by a federal grant. In Mississippi, 92 percent of the families that receive child care assistance from the state are black, according to a January report by the Mississippi Advisory Committee to the U.S. Commission on Civil Rights. The reimbursement a family receives for child care tuition varies depending on a child’s age and family income, but assistance only covers a percentage of a center’s tuition. That means centers that serve low-income children often receive reimbursements that cover only a fraction of what it actually costs to run a daycare. Many centers require parents to pay the difference, but some directors accept whatever parents can give. The report by the Mississippi Advisory Committee also found that requirements imposed by the state’s Department of Human Services have made it even more difficult for those in low-income — largely black — communities to access state assistance for child care. A single parent, for example, must go through the lengthy process of seeking child support before qualifying for child care assistance. State funds for improving child care quality do not always go to the child care centers most in need of support, especially those in low-income African-American communities, according to the report. Child care centers in those communities may not have the funds or resources to participate in programs that improve quality and, without the quality improvements, are not eligible for additional funding or incentives, the report said. Still, it’s hard to find definitive evidence of racial inequity in access to quality child care. Take, for instance, data from the Mississippi Department of Human Services on the race of children enrolled in centers that take part in the state’s voluntary quality rating system, or QRIS. Roughly 40 percent of Mississippi’s centers have signed up for the rating program, which is run by Mississippi State University, to be evaluated on a scale of 1 to 5 on measures such as the education levels of employees and the types of toys and materials in classrooms. The data, provided for the civil rights report, show that 11 percent of black children enrolled in a rated center go to a 4- or 5-star facility, compared with 5 percent of white children. Of the 606 children who attend a 5-star center in Mississippi, 590 are black. However, nearly three quarters of black children enrolled in a QRIS-rated center attend a program that was rated a 1 or 2, compared to about 62 percent of white children. White children are overrepresented in centers that score a 3. Carol Burnett, executive director of the Mississippi Low Income Child Care Initiative, said that Mississippi’s deeply rooted racial issues contribute to the lack of funds for child care centers, making it even more challenging for them to improve. Some child care providers, both white and black, question whether their skin color influences how they are treated during health department inspections. Sherrie Jones, owner of Highway 90 Child Care and Kindergarten in Pascagoula, recalled attending a workshop for child care providers once where she was the only black person in the room. When the speaker at the event asked how many of the center directors had ever received a fine, Jones was the only one to raise her hand, she said. He added that the department monitors “customer service” through surveys following inspections. “Comments are reviewed by the Child Care management team to ensure Child Care Licensing staff exhibit the core values of the agency,” he said. Some black child care providers worry racial prejudices make it harder for centers to score well when evaluated by QRIS, and, they argue, the evaluation criteria are subjective, according to a report produced for the Mississippi Low-Income Child Care Initiative by the National Equity Project. Data provided by officials at Mississippi’s quality rating program show that there is no clear relationship between the race of the provider, the race of the evaluator and the score given. For example, 57 percent of centers with a black director were rated a 1 when reviewed by a black evaluator, while white evaluators gave 61 percent of the centers with black directors a 1 rating. Roughly a quarter of centers with a black director earned a 2 from a black evaluator, compared to 20 percent from a white evaluator. 92 percent of Mississippi families that receive child care assistance from the state are black. Susan Glisson, executive director of the William Winter Institute for Racial Reconciliation and chair of the Mississippi Advisory Committee to the U.S. Commission on Civil Rights, said worries about racial bias may be exacerbated due to a lack of communication between state agencies and child care providers, as well as the lack of opportunities for child care providers to share their opinions and have an input in state-level decisions that ultimately impact their business. In 2011, the state adopted a more comprehensive quality rating program, which also included efforts to help centers improve. May was hired that year to run the program, and much of her job then was to help build bridges between the quality program and child care centers, she said. In an attempt to eliminate potential bias, May said the program sent all staff members to an in-depth training session in North Carolina, where the program was developed, to learn about the program’s quality rating scale and how to ensure program integrity. 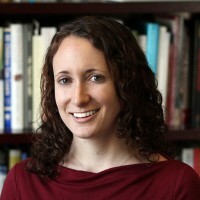 Louise Davis, director of the Early Years Network, which is funded by the state’s Department of Human Services and which offers resources and support to child care centers, said low-income centers can enhance quality, without spending any cash, by improving the interactions between teachers and children, for instance, or adopting better personal care routines for children, such as improving diaper changing or hand washing procedures. Davis said centers can also take advantage of free technical assistance offered through the Early Years Network or through QRIS, which provides training for child care center employees and business advice. 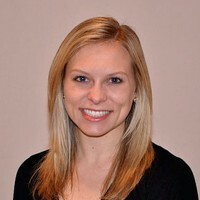 Glisson said that while state agencies do need to communicate with and build stronger relationships with child care centers, a bigger financial investment in low-income communities is still needed to make widespread improvements in the quality of care for the state’s neediest babies and preschoolers. This story was produced by The Hechinger Report, a nonprofit, independent news organization focused on inequality and innovation in education. In the coming weeks, this series will look at solutions to the child care problem for Mississippi and other states.